Little Einstein Education Centre Where Quality Daycare Matters! 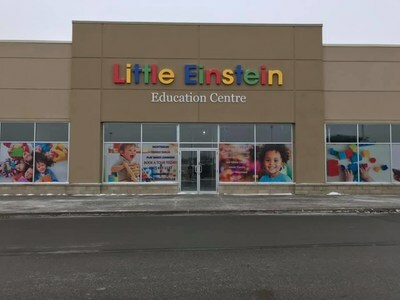 EAST GWILLIMBURY, ON, April 15, 2019 /CNW/ - Little Einstein Education Centre is a newly built state of the art childcare centre opening soon in East Gwillimbury. Little Einstein Education Centre will offer high quality, full time and part time daycare programs for children from the ages of 3 months to 12 years. Parents/guardians can drop off their children with peace of mind knowing that the team at Little Einstein Education Centre is comprised of highly skilled, passionate and caring individuals carefully selected from various educational and professional backgrounds. A 14,000 square foot facility: Our daycare provides children with large classroom sizes with optimal space for learning. Wide hallways and high ceilings help to reduce the feeling of stress and anxiety in children when separating from their guardians. A 7000 square foot outdoor play space: The large outdoor play area allows for ample movement. Physical activity contributes to all areas of development from creativity to academic success to emotional stability. The space is equipped with toys and materials to promote learning through exploration and play. A large indoor, soft-play area: On inclement weather days, children will have the opportunity to play on the indoor playground. The indoor playground helps to ensure physical activity will always be incorporated into daily programming. On site chef: Our on-site chef prepares fresh-gourmet meals daily! Nutritious meals and snacks help children grow and develop, do well academically and contributes to their overall physical and mental well-being. Healthy meals are planned in accordance with Canada's Food Guide, and substitutions are always available. Multi-purpose education rooms: These rooms are equipped with books and smart-board technology for extra-curricular activities. East Gwillimbury is a developing community filled with growing families. We have carefully and thoughtfully made decisions geared towards the best interest of the families in our community. We have decided to implement extended hours to accommodate parents/guardians who are commuting to and from work. The daycare will be open from 6:30am-6:30pm. Our goal is to create a welcoming, diverse and inclusive environment. We understand that families are in different situations with differing strengths and needs. 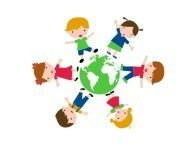 At Little Einstein Education Centre, all nationalities, abilities and family types are celebrated and welcomed.